It’s Saturday Morning, and “We ‘re Back” teeing off for the 2nd year in a row at the Web.com Tour Savannah Golf Championship. The Coach & Maikos are just two sports fanatics doing a LIVE REMOTE at the Landings Club at the Deer Creek Golf Course and will be discussing national and local sports topics. 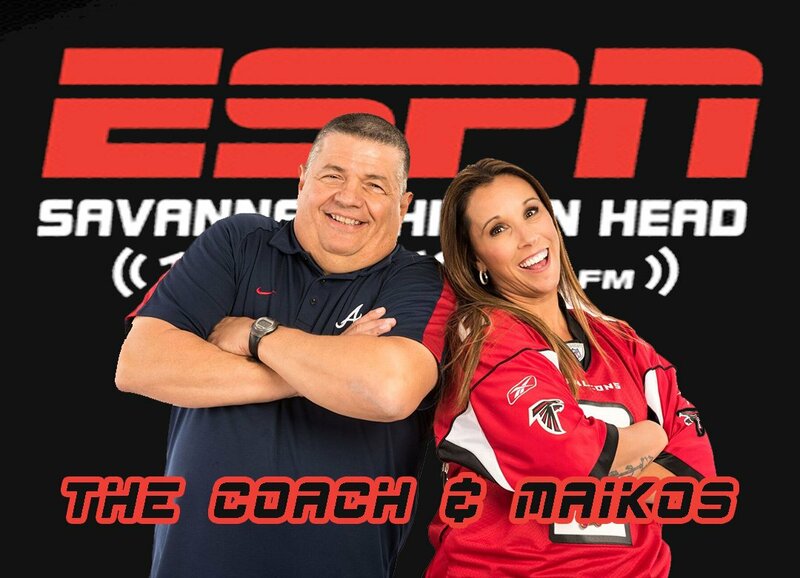 As always, the show will have The Coach with the Kell (Markell K. Blount) & Mell (ESPN Maikos) LIVE “On Air Today” from 9 a.m. until 11 a.m., and we will talk to our great guest as usual. Just to name two who love talking golf and local sports, WTOC-TV Mid Morning Anchor Tim Guidera and the WJCL News own The Big Guy Frank Sulkowski WJCL. There are a number of ways you can listen to the Coach & Maikos. On the radio at ESPN Savannah 104.3 & AM 1400, the show is always streaming on your computer at http://espncoastal.com/, and now on or your smart phones at ESPN Savannah/Hilton Head. So, download the smartphone app right now and start listening anywhere you are. Check out more from the show here!